Santander UK has awarded its Retail Recognition Event contract to Venues Event Management for the second consecutive year. The Retail Recognition Event is the annual incentive for the Retail Distribution Division and is being hosted at the Hotel Arts, Barcelona in March 2012. The event will gather 250 delegates as recognition for outstanding performance. Venues Event Management will be providing venue finding, event management, accommodation, travel, entertainments, activities, marketing collateral and a registration website for the event. Santander UK event manager Stephen Tomlinson said: "Despite the fact that Venues Event Management worked on this event for us last year, we started with a clean slate with several potential suppliers invited to take part in a tender selection process. "Budget and understanding our requirements were key factors for this event. Venues Event Management again demonstrated their ability to negotiate hard, reduce cost and add considerable value. They presented a proposal that perfectly matched our requests as well as demonstrating specialist local knowledge of the destination." Venues Event Management sales director Mark Fry said: "After taking part in a detailed tender process, we are delighted to have been awarded this fantastic event again. Last year’s event was the first time we had worked with this client, and it was very successful. 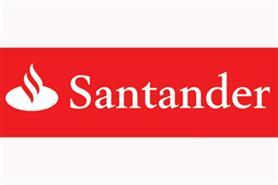 We are really looking forward to working with Santander UK again." Santander's 2010 Retail Distribution Division incentive took place in Madrid.